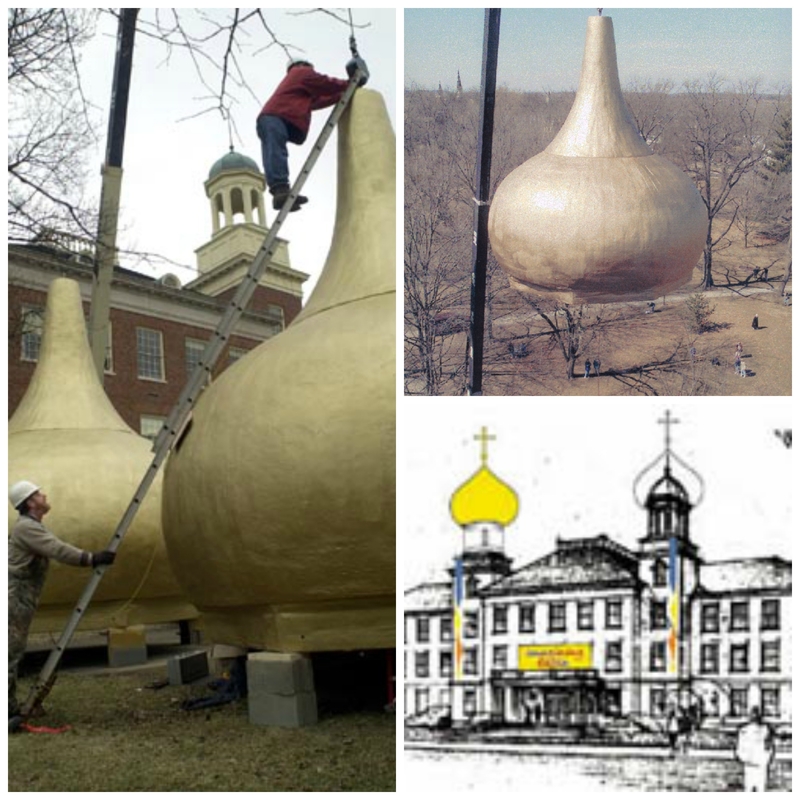 The Havighurst Center domes were first installed in Spring 2001 for the Imagining Russia festival and inauguration of the Center. was established as the result of an endowment from the late Walter Havighurst, author and longtime Miami University English professor who taught at Miami from 1928-1969. The Center is interdisciplinary, with faculty associates in many departments throughout the University. In addition to the Center's Director and Staff, the Center relies on Faculty Associates who are drawn together by their mutually held interests in exploring issues related to Russia and the post-Soviet region. Since its inaugural year, the Havighurst Center has supported intellectual and cultural activities at Miami University. The Center hosts an annual International Young Researchers’ conference, with papers from advanced graduate students and recent doctorate recipients from the U.S. and abroad. It also holds a weekly Havighurst Colloquia Series, a course-related lecture series in which invited speakers present formal papers on themes chosen for that year. In addition to organizing its own lectures and conferences, the Havighurst Center also awards grants bi-annually to Miami University faculty and departments who wish to offer Center-related programs or activities to the Miami community. The Havighurst Center also supports the development of new courses that promote a greater understanding of Russia and the surrounding region.